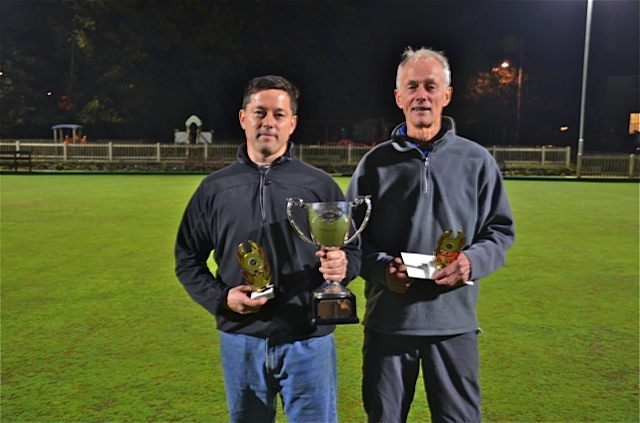 Last weekend saw the start of the 18th season of outdoor winter bowls when the Manx Petroleum sponsored league kicked into action with three maximum wins recorded over both days. The opening two fixtures had 5-1 victories on games, with Sonya Mercer preventing a whitewash for her team Castletown Cannons against southern rivals Erin Porters. This while Mike Thomas (Parkers) held his nerve against opponent Thomas Keggen (Louie’s Angels) to win 21-19 and record the only win for his side. Parkers next took on Erin Porters and recovered well from their earlier disappointment to notch up their opening victory by just eight points in a close encounter that ended three-all on games. Having missed out by two chalks in the first outing, Louie’s Angels aimed to improve and this they did with the campaign’s maiden maximum win, achieved with comfortable ease against Castletown Cannons. Results for Saturday, October 6: Castletown Cannons 82 (1), Erin Porters 116 (5); Parkers 83 (1), Louie’s Angels 124 (5); Erin Porters 105 (3), Parkers 113 (3); Louie’s Angels 126 (6), Castletown Cannons 71 (0). Sunday saw a new look Outsiders square up against Bits n Bobs, who themselves had three newcomers in the team and it was the experienced outfit who came out on top, winning all six games. Also taking part were last season’s runners-up, Mooragh Lakers, another squad with some new faces in the line-up and they went within one game of a perfect start against opponents Bowl Rollers. Unfortunately for Rollers the afternoon didn’t get any better and they ended up on the wrong side of a six games to nil encounter with Outsiders. Last up were Bits n Bobs and Mooragh Lakers and with the away side cruising through the first four games, things looked good for the former champions. However in the final two games off the green Geoff Mayles and Franz ten Donkelaar both sneaked home with 21-19 wins against Janet Monk and Harry Barton. Results for Sunday, October 7: Outsiders 126 (6), Bits n Bobs 64 (0); Mooragh Lakers 117 (5), Bowl Rollers 83 (1); Bowl Rollers 69 (0), Outsiders 126 (6); Bits n Bobs 80 (2), Mooragh Lakers 122 (4). The club’s opening round robin session took place on the Wednesday prior to the league games and an entry of 38 was split into two groups from which the winners were Jeff Wilson, Lynda Wilson and Derek Clarke in the triples and the pairing of David Clucas and Mike Kelly. All members are reminded that entries close for the round robin sessions at 1pm prompt and anyone arriving after that time will be denied entry. For sides competing at weekends there are a number of club members available who are not allocated to a team, details of which will be held by the secretary should any captain require extra players. Marown Bowling Club held the Juan Kelly Cup last week with the competition in its second year being played under the excellent floodlights it was like playing in daylight. The format was any competition doubles, played over 15 ends with ends 5, 10 and 15 played as ‘power’ ends with the points scored counting double. The pairs were given a handicap based on their rankings in the Men’s and Ladies game. If scores were tied after 15 ends a one end shootout would take place to decide the winner. The competition in this format improved on last years entry of 40 pairs, with 42 pairs entering. Again there were some interesting pairings making use of the handicap system played over two qualifying nights, with four pairs qualifying from each night for the quarter finals. On Sunday evening 16 pairs played their qualifying night, with 26 pairs competing on the Monday evening this proved to be the most popular night to play. The finals night was held on Wednesday evening, with a live re-draw taking place to determine who the pairings would play on the night. The eventual winners were the father and son pairing of Bernie Durcan and Steve Durcan (+7), who mastered the green, defeating the home duo of Phil Kelly and Paul Kelly (+2) in the final to a 30-8 score line with the Marown men conceding the game with three ends still to play with the lead having become unassailable. The Durcan’s were helped massively by counting a four on end 10, which was a power end to score a huge eight points at a vital moment in the game, however this shouldn’t take away from their brilliant performance in the final to keep the Marown men down to single figures scoring just six points on their own green. The Durcan’s were superb throughout the whole competition, taking out some good pairings along the way, and they don’t come any tougher than the South Ramsey pairing of John Kennish and David Bradford ending their challenge with a 21-17 win on Monday evening in the final qualifying game with Kennish and Bradford needing a big score on the power end to progress but just missing out. Losing out in the semi-finals were Marown C Team captain Stephen Rundle and Celia Joughin (+10) who were beaten 16-21 to the runners up, Losing out to the Durcan’s in the semi-finals were the father and daughter pairing of Arnie Withers and Helen Withers (+9) who just needed to make another counting bowl on the final end to secure a spot in the final, however they just missed out agonisingly 23-24. Losing quarter finalists were two South Ramsey pairings, Jenny Moore and James Teare (+6), along with Alan Moore and Glynn Hargraves (+3), Peel duo Tommy McMeiken and David Proctor (+6), along with the Noble’s pairing of Alison Keggen and Debbie Leece (+10). At the conclusion of play the presentation was made by Neil Withers, who thanked Juan Kelly for once again sponsoring the competition, the Ladies for the refreshments, the players for entering, and all those who stayed to support.